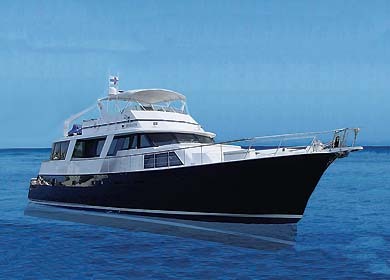 Athos has 6 cabins (one double & five twins) for up to 12 guests. Athos offers a variety of theme cruises: family, tennis, golf, wine, painting.. on the French canals in the south of France. Cruise along the Canal du Midi and the Canal du Rhone a Sete. We lived along these canals for two years aboard our sailboat Loose Moose 2 and really enjoyed it. Hope to get back there soon! with a Single Person Supplement of $699 (£360) if you are by yourself in the cabin. We'd like to introduce you to the NEW CREW of Safari, Melissa Van Assen and Andy Key. SAFARI a sleek 62-foot Gunboat performance catamaran that zips across the water like a speed skater. Even though SAFARI is a performance cat, she has comfortable accommodations for six guests in 3 large private cabins with queen berths. One cabin also has a single berth and one cabin has a child's berth. Check out Melissa’s MENU on their web site, but have a snack handy as reading it will make you ravenous! $15,500/2 - $16,000/4 - $16,500/6 - Inclusive except bar/beverages, local taxes, dockage, communication. Charter yacht CARABELLA, 41-foot President motor yacht, announces unbelievably low motor yacht rates!!!! Carabella has lowered her 2 passenger rates to ONLY $4,999 a week! Enjoy the spacious Queen guest suite with Satellite TV, air conditioning and ensuite head for a new low price! Contact Paradise Connections and we will be happy to assist with your charter yacht vacation plans for a quick getaway, quality-time with the family, corporate incentive, honeymoon, anniversary, birthday, graduation trip, or just a well-deserved vacation. John & Maria King of the charter yacht, VIRGIN VENTURE 2, wrote to announce that they have a new price schedule. Virgin Venture is now offering 2, 4, and 6-person rates, instead of just the full-boat, 6-person rate as in the past. Virgin Venture includes Rendezvous Diving in their rate (One 2-tank dive/guest/day). 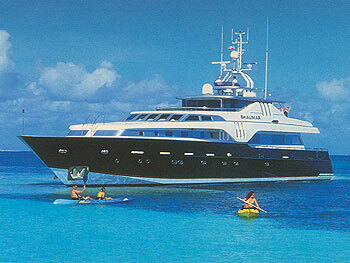 Voted BEST CREWED MOTOR YACHT at the November 2005 BVI Charter Yacht Show. This just in... BONNIE LYNN has just had a cancellation and they are now available January 29 through February 10, 2006 in the Grenadines. 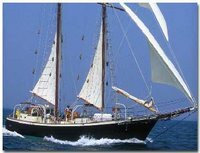 Bonnie Lynn is a 72-foot (LOA) traditional, gaff-rigged, topsail schooner combining old world charm with the luxury of modern day amenities. She is a serious offshore cruising yacht owned and operated by Earl and Bonnie MacKenzie. 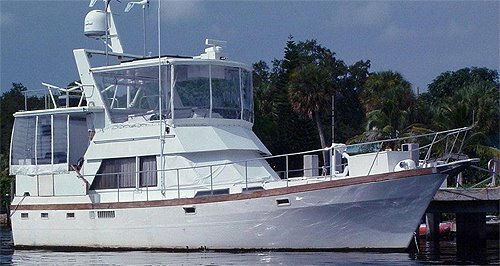 Bonnie Lynn offers charters for up to six guests. They love family groups! Bonnie Lynn is available for winter charters in the Caribbean and then sails north to New England where they charter in Maine over the summer months. 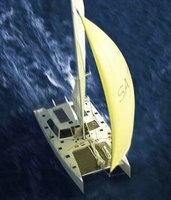 LIARA, 65-foot Dixon/Southern Ocean sloop, is open now thru February and available for short notice bookings. Liara accommodates up to six guests in three cabins. SPECIAL RATES on LIARA now through March 20th! Visit the enchanting Galapagos Islands this spring in comfort and style aboard the motor yacht Latitude. Latitude is an expedition-type yacht which combines the go-anywhere capabilities with the amenities of the best in megayachts. Expedition yachts are the current "flavor of the month" in yacht charters. 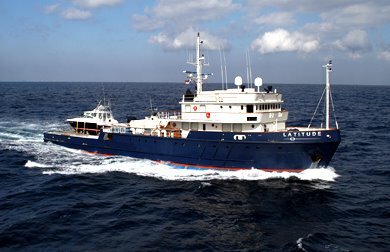 Built in Germany, Latitude was completely refit in 2003 implementing a superyacht interior finish and accommodations, bringing Latitude up to Norske Veritas class. Latitude is 170 feet. They accommodate 12 guests and have a crew of 10. Latitude has four tenders (dinghies) aboard: 43-foot & 25-foot power catamarans set up for fishing, plus 18 & 14-foot inflatables. They have six staterooms. The master has a King berth, three have Queen berths, and two have two Twin berths each. Latitude has satellite TV and communications, including internet access. One nice feature listed is a pool-sized jacuzzi. Latitude's rate is $150,000/week, plus all expenses, for up to 12 guests. 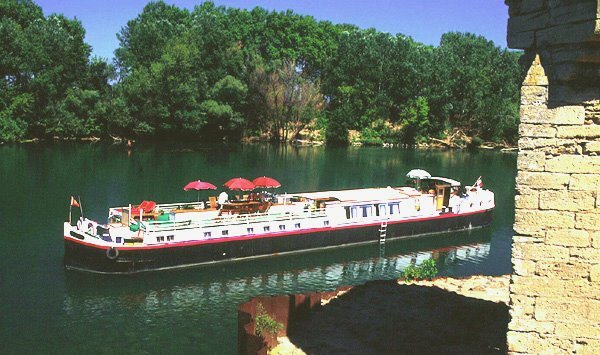 The French canal hotel barge, CLAIRE DE LUNE, is offering a discount on April 2006 charters that are booked by January 30, 2006. 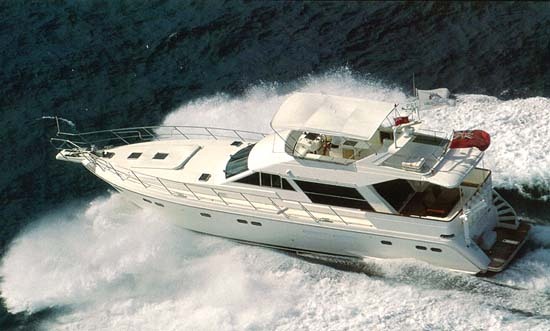 The "Midi Classic", a private charter for up to 6 persons, is offered at the reduced price of $16,500 instead of $19,800. 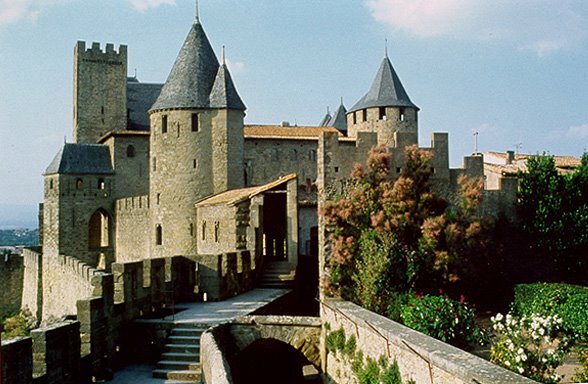 Round trip transfers in their air-conditioned minibus from a pre-designated meeting and drop-off point (airport, train station, car rental agency or your hotel).in Carcassonne and Beziers. For charter bookings also Montpellier, Narbonne or Toulouse. Accommodation for six guests in three-double or twin bedded staterooms, each with private en-suite facilities. All meals including wine plus a well-stocked bar is at your disposal. Use of the bicycles and the large collection of books and music. All proposed excursions and visits (including entrance fees) with their guide in the air-conditioned minibus. 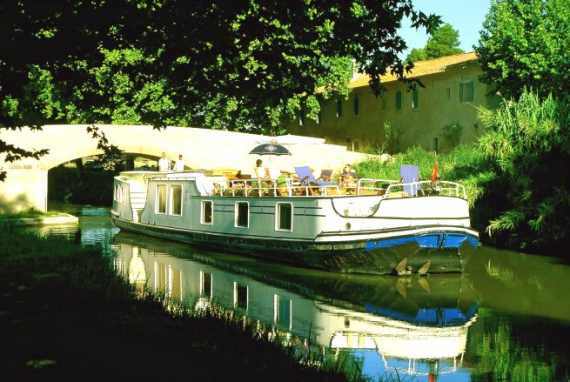 This all-inclusive option between Carcassonne and Beziers, involves cruising along the most visited and known part of the Canal du Midi. Onboard gourmet meals are complimented with excellent wines from châteaux of the Languedoc region. If desired, there is the possibility of enjoying one meal onshore in a selected restaurant. Excursions are adapted to guests' interests, and could include wine tasting at local châteaux, a visit to the medieval town of Carcassonne, the Lastours Cathar castles, visits to local markets, trips of archeological interest like the Oppidum d'Enserune and to the picturesque historic villages of Pezenas, Lagrasse and Minerve. CARABELLA is a 41-foot President motor yacht owned and operated by Jerry and Shary Morson, along with their two cats. Carabella is based in the US Virgin Islands. Carabella accommodates two guests in the master cabin aft that has a walk-around Queen berth with ensuite head. DRAMALESS is an 82-foot Hatteras motor yacht based in St. Maarten and has a crew of two. Dramaless accommodates up to 7 guests in three cabins with ensuite heads. Two guest cabins have Queen berths, while the third guest cabin has three Twin berths. Dramaless has two waverunners, and a 19-foot Mako tender with 150HP motor. PANACHE is an 85-foot Cheoy Lee motor yacht with a crew of four. Panache accommodates up to eight guests in four cabins, each with ensuite heads. Two of the guest cabins have King beds, one has a Queen, and the other guest cabin has two Twin beds. Panache has a 22-foot tender with 150HP jet drive, 2 waverunners, and LOTS of toys. 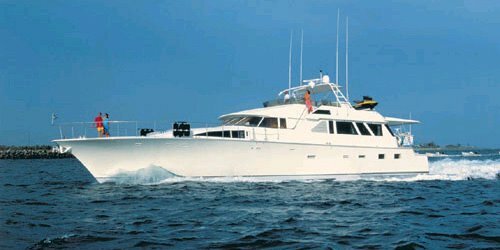 SEMPER FI is a 64-foot Horizon motor yacht based in the BVIs, with a crew of two. Semper Fi accommodates up to six guests in three equivalent Queen cabins, each with ensuite head. Semper Fi has a 14-foot dinghy with 50HP motor. Toys include two 2-person kayaks, waterskis, wakeboard, snorkel gear, and more. 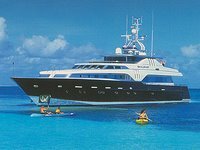 SHALIMAR is a 118-foot Benetti motor yacht, with a crew of seven, and will be based in Tortola, BVIs. Shalimar accommodates up to ten guests in five cabins, each with ensuite head. The master cabin has a King bed, two cabins have Queens, while the other two guest cabins have two Twin beds each.